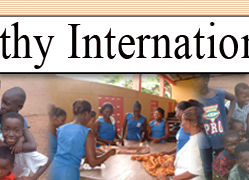 Sympathy International is a Ghanaian owned and managed Non- Governmental Organization (N.G.O) registered with the Registrar Generals Department and the Department of Social Welfare, established in December 2001. Moved by the growing human sufferings through disease, poverty, deprivation and other social menace engulfing Africa, with particular reference to Ghana, Sympathy International is hereby established as a corporate body, to create the enabling environment to arrest these affections. It is the vision of Sympathy International that the grimace of suffering would one day give way to a dignified smile of hope in ones life on earth, if we act in unison. 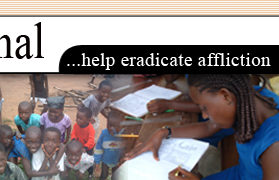 • Helping the poor and needy through developmental projects. • Promoting the civil and social right of women and children. • Promoting and defending human rights. • Promoting vocational skill and moral education. • Training the coming generation to be the cream of the world. • Helping to eradicate sexual promiscuity, teenage pregnancy, school dropout and streetisim (Kayayei) among the younger generation. • Helping to create sustained awareness of the HIV/AIDS pandemic. • Skill training for women. 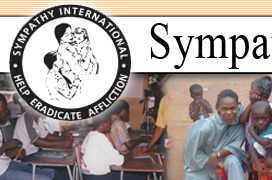 Sympathy International has no barriers to its membership. Christians or non-Christians are eligible to be members without discrimination, believing that all men are created equal. Membership shall take effect from date of registration.